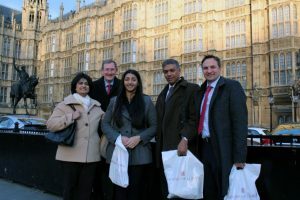 On Monday of this week I along with Vice-Chair of School Council, Gavin Cordwell-Smith, travelled to London to meet Aditi and her parents at the House of Lords. 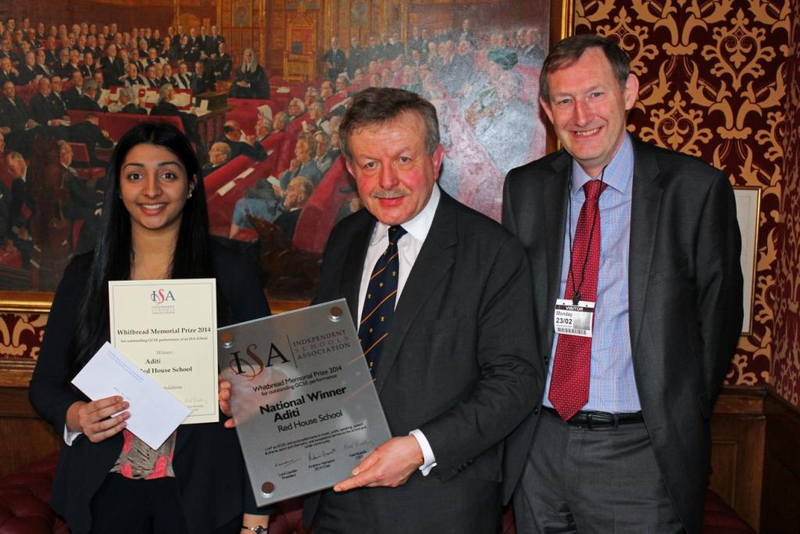 Aditi, who left Red House last summer, won the Independent Schools Association (ISA) Whitbread Memorial Prize for her outstanding GCSE results and other achievements whilst at Red House. We were met by Lord Lexden, President of ISA and Neil Roskilly Chief Executive Officer. Lord Lexden gave us a tour of the House of Lords and we watched the start of the day’s proceedings, including Questions to Ministers, from the gallery of the Lords’ Chamber. 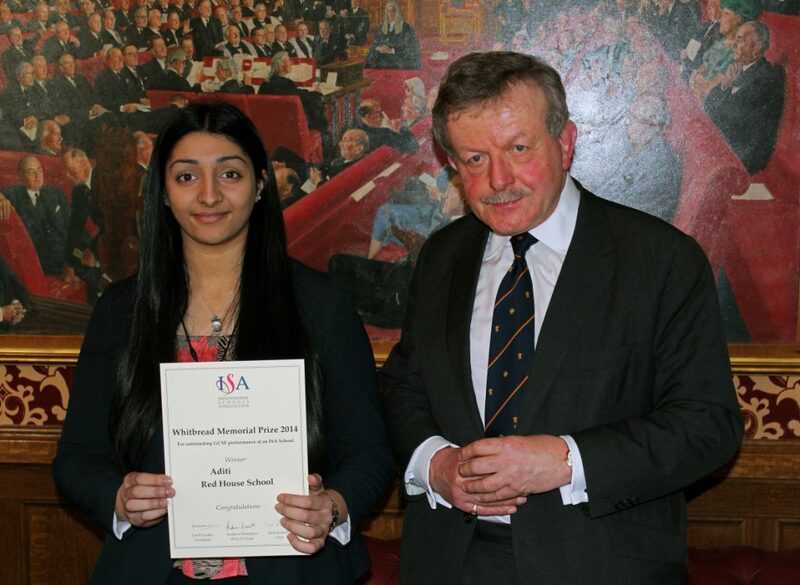 This was followed by the presentation of the prize to Aditi by Lord Lexden. A plaque, to commemorate her achievement, which will be put up in School, was also presented. Lord Lexden then invited us for tea in the Lords’ dining room where we celebrated Aditi’s achievement, fittingly with Earl Grey.